WM Area volunteers are helping a major new project in the region. The British Glass Foundation (BGF) is in the process of creating a world-class display from the remnants of the former Stuart Crystal site which closed in 2001. The new facility is being established at the White House Cone Museum of Glass in Wordsley, Stourbridge. Members of the Arts Society, Stourbridge are offering help at both the White House Cone and Himley Hall to identify archived items which may be important for display, catalogue individual pages in pattern and order books, and match glass items with records. 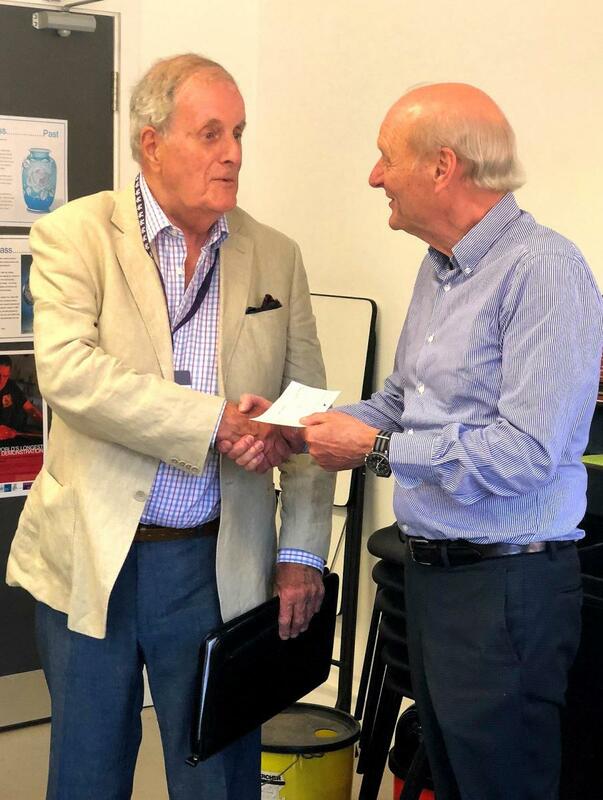 WM Area Heritage Volunteer representative, David Brass, visited the BGF on 4 July, met the Trustees and presented a cheque for £100 to their Chairman, Graham Knowles. “The Arts Society West Midlands Area is delighted to help the Foundation in this exciting and worthy project” said David. The new museum is due to open in 2019.